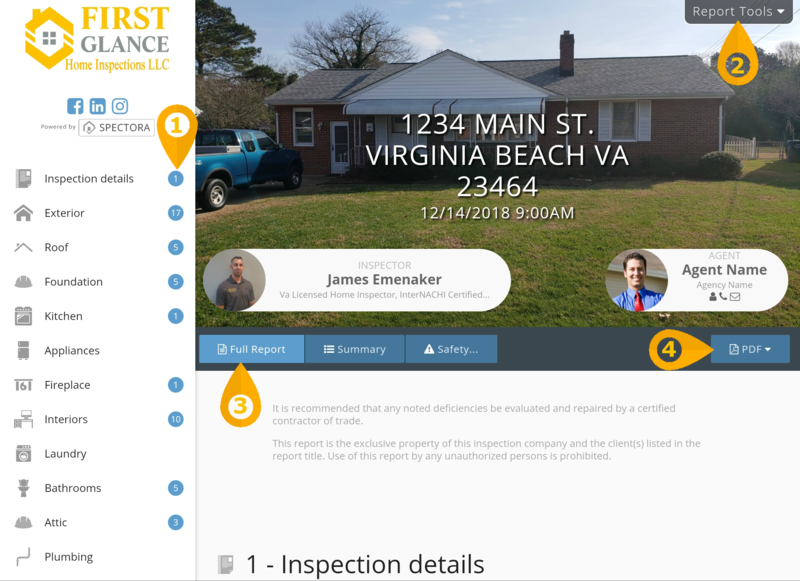 Home inspection reports have come a long way since being written by hand. I have bought and upgraded to several different software companies. Spectora is an industry leading company. These modern, clean, and intuitive reports are easy for clients and agents alike. Informational and defective pictures/ videos are attached directly to their related comments. Consequently, clicking on the picture lets you see a full size, high quality image. Agents are able to build a repair request builder. Choose the defects the client wants remedied and ask for repairs or funding. This creates a new report that can be sent to the seller’s agent. Similar to the original report, the repair request is visible in HTML or PDF. Agents can use the repair request builder to ask for repairs or funding of deficiencies.